Back in November we were in New York City and took stepson Dr.A and his beautiful partner to a special dinner at Aquavit. Funny story here. I admit to having a virtual crush on Marcus Samuelsson the chef behind it. So when Phil surprised me with the news of our upcoming dining adventure, I almost passed out. Would Mr. Samuelsson come to our table to say hello? Would I be able to survive that without making a complete fool of myself? Then, the shock. Marcus has left the restaurant many years ago. I must be living in a cave or something. Well, it’s quite clear that I don’t follow the restaurant scene that closely. The current chef is Emma Bengtsson, a beautiful 33 year-old Swedish chef who is one of only three women to run a restaurant with 2 Michelin stars. Isn’t that super cool? No wonder our meal was memorable! Seriously, the food was spectacular. Absolutely top-notch, one of those evenings to be remembered forever. I include at the end of this post a little slide show. One item I fell in love at first bite was their Danish Rye bread. They brought it in a small basket, three types of bread, the Danish Rye definitely not a heavy contestant for its looks. With no high expectations, I tried a bite. Then I saw Phil’s expression when he took a bite of his little roll. Our eyes locked, and a symphony started to play in our minds… It was moist, it was dense, but not heavy. It had this incredibly sweet/savory complex taste, like nothing I ever had before. I simply had to try and make it at home. Once we flew back, I started obsessively searching for recipes, even wrote the restaurant (no reply, unfortunately), and finally settled on a recipe by Planet Earth’s Baking Goddess Extraordinaire, Karen. Combine the ingredients in a medium bowl with a dough whisk or large spoon until you have a fully incorporated dough. Cover with plastic wrap and let sit for 12 to 15 hours. Combine the ingredients in a medium bowl and mix until smooth. Cover with plastic wrap and let ferment for 8 to 10 hours. Mix the ingredients in a small bowl and cover with plastic wrap. Let sit overnight at room temperature. In the bowl of a stand mixer, mix all of the ingredients with the dough hook on slow for about 4 minutes, then increase the speed to medium, and mix for an additional 3 to 4 minutes. The dough will be very sticky. 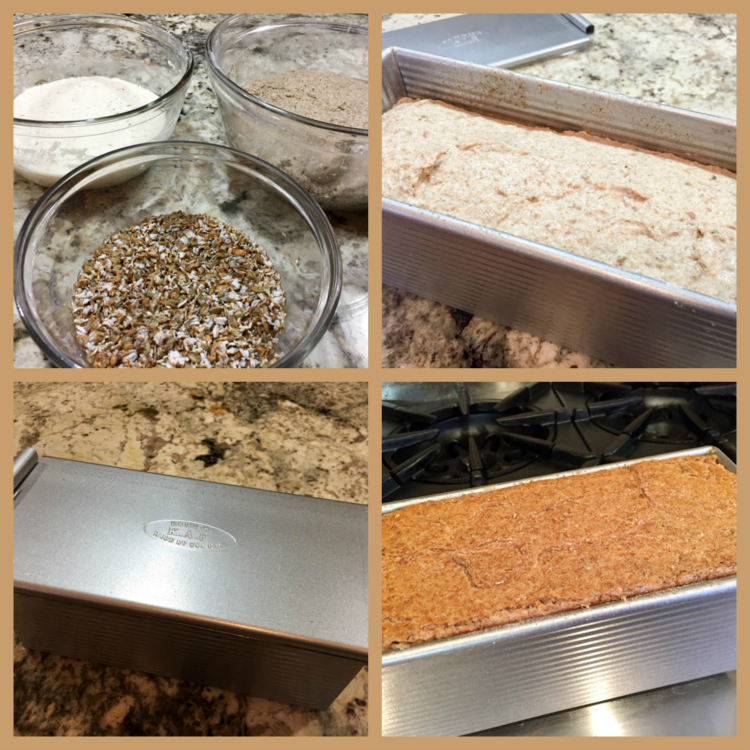 Heat the oven to 475 F.
Spray a 13 inch Pullman pan with spray oil, and sprinkle it with rye flour. Scrape the dough into the pan and smooth the top. Sprinkle the top with whole rye flour. Cover the dough with the lid of the pan, and let rise for 45 to 60 minutes, until the dough reaches about 1 inch below the top of the pan. Bake the loaf at 475 F with the lid on for 15 minutes. Reduce the oven temperature to 400 F and continue baking for 15 more minutes with the lid on. Remove the lid and reduce the oven temperature to 325 F. Bake for an additional 45 minutes, until the bread reaches about 205 F internally (check with an instant thermometer). Comments: Danish Rye is the most beloved bread in Denmark, consumed by everyone particularly at breakfast, but pretty much whenever the mood strikes. I suspect if I lived in Denmark I could survive on it alone. Ok, maybe some butter. A little cheese. Some smoked salmon, but the pièce de resistance would be the bread. I realize that it doesn’t look like much. A brownish, tight crumbed, dense-looking loaf of bread. Looks can be so deceiving! This is the kind of bread that speaks to your soul, each bite a little different, it plays with your taste buds in magical ways. Trust me, you need to bring it to your life if you’ve never tried it. Plus, it’s pretty straightforward to make. You do not need the special pan with the lid, actually. Many recipes will bake it in a regular loaf type pan, and the bread will end up with a little crack on top. Nothing wrong with that. 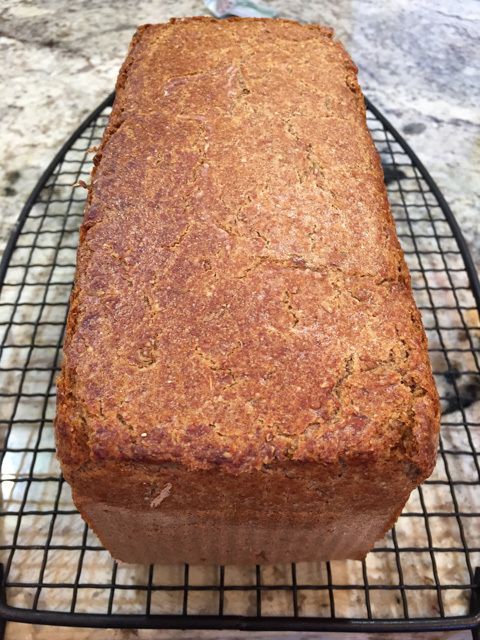 Make sure to plan ahead, Danish Rye must sit for at least 24 hours before slicing. 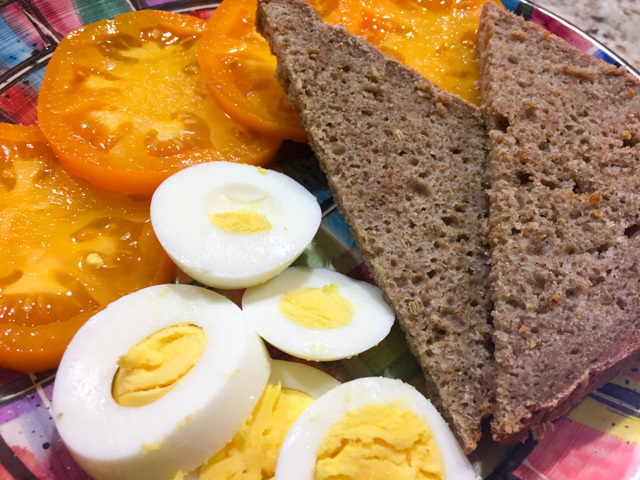 Rye is a temperamental flour, with a tendency to develop a gummy texture. The important question is – did it match the Aquavit concoction? Let’s say it’s pretty close, close enough to make me thrilled about this baking project. I still would love to have their recipe, but so far, no cigar. So my plan is to continue assembling examples in books and blogs, and try a few more. The bread freezes beautifully in thin slices, by the way. Removing from the freezer, in a few minutes it can go into a low oven to bring it back to life. It is quite simply put, a fantastic loaf of bread. Phil went nuts for it, in fact he now insists that at any given time we must have at least 4 slices in the freezer. Just in case. And of course, I am more than happy to make sure he is happy!